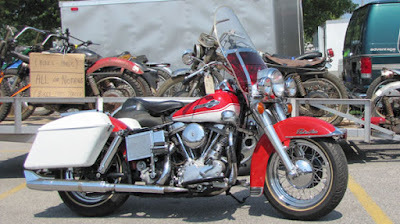 Some just call it “Davenport,” but almost everyone says it’s one of the best places to go for antique and vintage bikes, parts and knowledge related to motorcycles from anywhere on the globe. Acres of swap meet spaces from some of the foremost collectors and vendors plus the new indoor exhibits for museum displays and those providing specialized services like plating, powder coating and restoration. Admission is free after you donate to park, and the food is great, too. If you go to Davenport, make plans to stop by the National Motorcycle Museum display at the swap meet, or better yet, visit the Museum. It’s just 80 miles up the road, northwest of the Mississippi Valley Fairgrounds, the site of the meet.